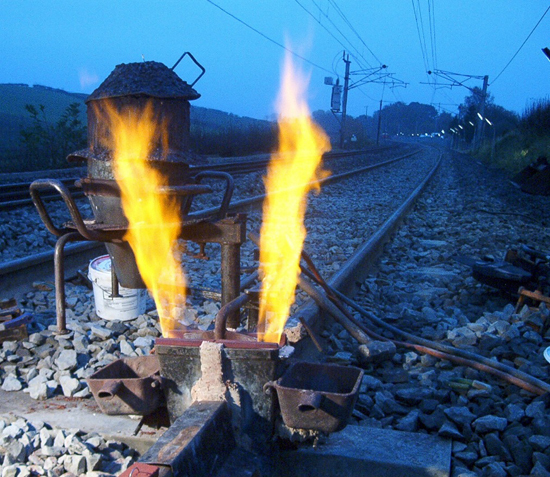 Weld-A-Rail Ltd is an independent company formed in 1997 to provide track welding services to the Rail Industry. The company was formed to answer the need for a professionally managed and comprehensive track welding service. Weld-A-Rail has grown, earning a reputation for quality by exceeding customer expectations. The principles upon which the business was founded remain at the heart of the organisation. They have led to an envied position as one of the country's leading providers of professional track welding services. The permanent workforce of 48 is both focused and flexible and able to undertake all sizes of project. Weld-A-Rail have a proud record of no industrial disputes. Weld-A-Rail never use sub-contractors for the core business of the provision of track welding services to the Rail Industry.